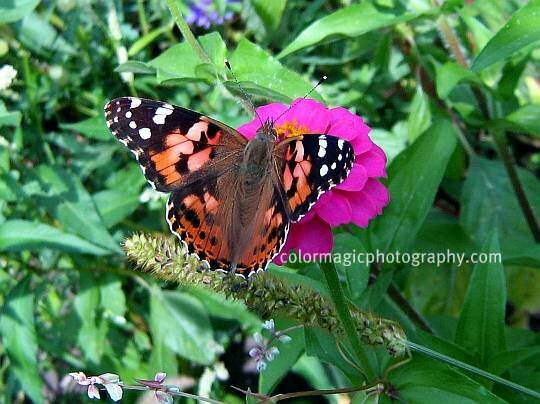 You managed to captured the 2 beauties together, the flowers and the butterfly. Nicely done! Ach, so those are zinnias --thanks, this is so darn educational. Lovely shots!! 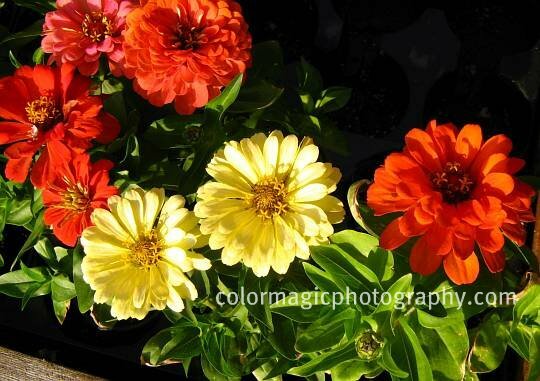 The zinnia is a beautiful flower, they can certainly light up a garden. Beautiful shots Maia, I love the one with the butterfly. Your zinnias are lovely in the light and in the shadow. Great macro shots and my favourite is the second one. Zinnias like heat and are a bit tough for Seattle. They also like a rich soil go get going well. I think their brilliant colors are quite showy, actually. Maia, you successfully captured the butterfly with the flowers!